BEMM is an international nonprofit organization we partnered with to provide necessary health and economic aid to mothers in underdeveloped regions of Africa. Seeing possibilities, taking action, enabling progress. Posted on March 21, 2014 by Kevin D.
Lessons have been posted to YouTube where the Taiwanese students can learn basic business concepts whenever they can! Lesson 1 is posted below, but you can find the other video lessons by clicking HERE. 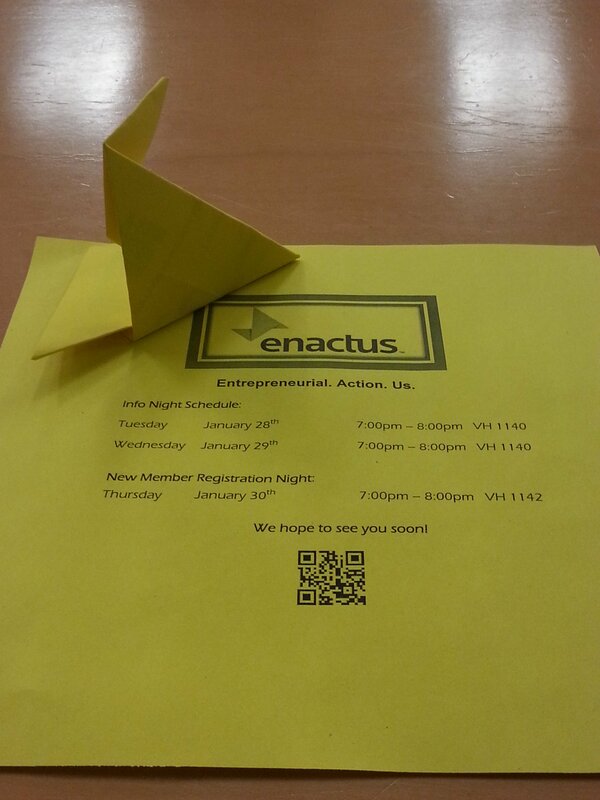 Posted on February 6, 2014 by Kevin D.
Recruitment began with our Enactus origami! 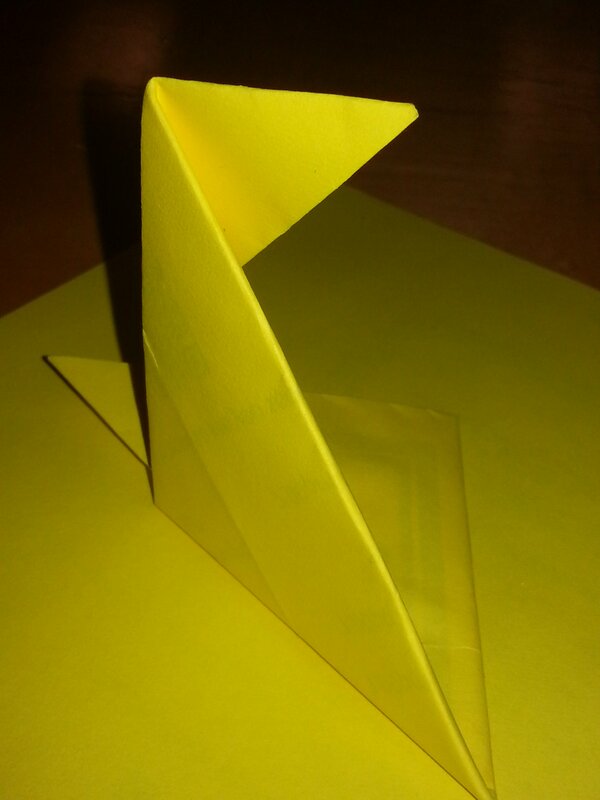 These origami were designed to attract new members in the library, SUB, and other locations on campus. The 2013 TSU Enactus Chili Cook-Off! Posted on October 21, 2013 by Kevin D.
Don’t miss the Truman Enactus 2013 Chili Cook-Off on Sunday, November 3rd from 4:30 – 7:30 in Ryle Hall main lounge! Come judge and enjoy delicious chili prepared by various Truman Organizations! Awards will be given for spiciest chili, most original chili, and the most original bowl! Not only that, CASH PRIZES will be awarded to Judges Choice chili, and People’s Choice chili. Be sure to prepare your A-list chili if you want to win! Cost to submit your chili is only $10 per organization/submission! Cost to attend the Chili Cook-Off $5 per person for as much chili as you can eat, and to enjoy an awesome performance provided by TruMen! Please join our Facebook event for daily updates and more information! 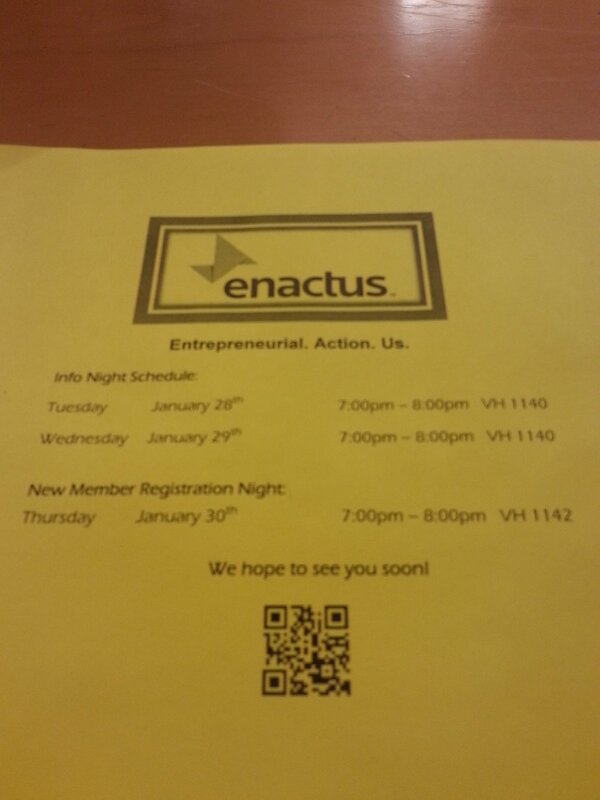 Posted on October 5, 2013 by Kevin D.
Enactus is undergoing renovations, we apologize for any confusion. 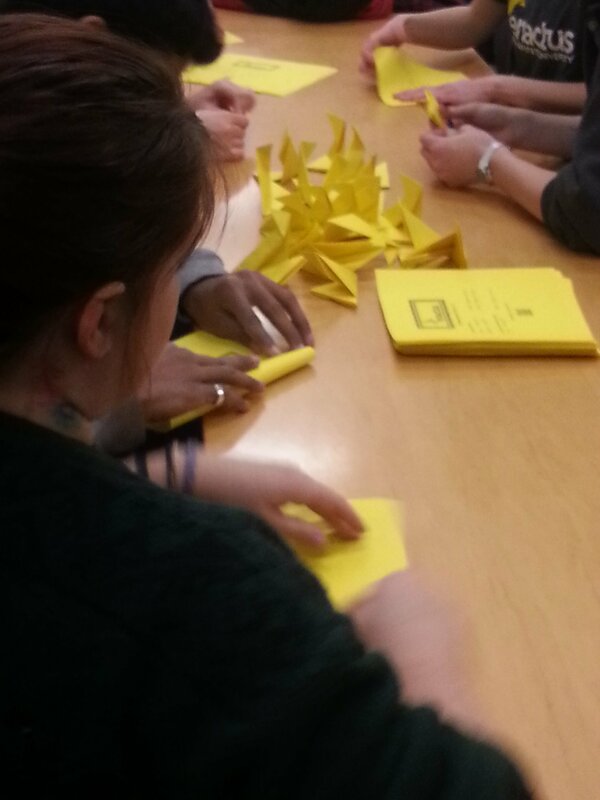 Welcome to Truman State Enactus 2013-2014! 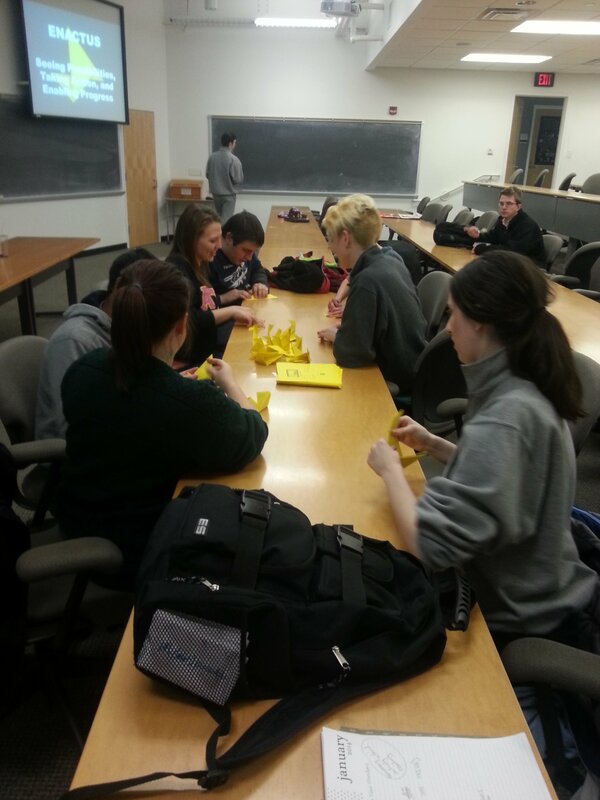 Posted on September 10, 2013 by Kevin D.
A new school year has started and Enactus is back in full swing. Meetings are still Tuesdays @ 7:00pm in Magruder 1000. 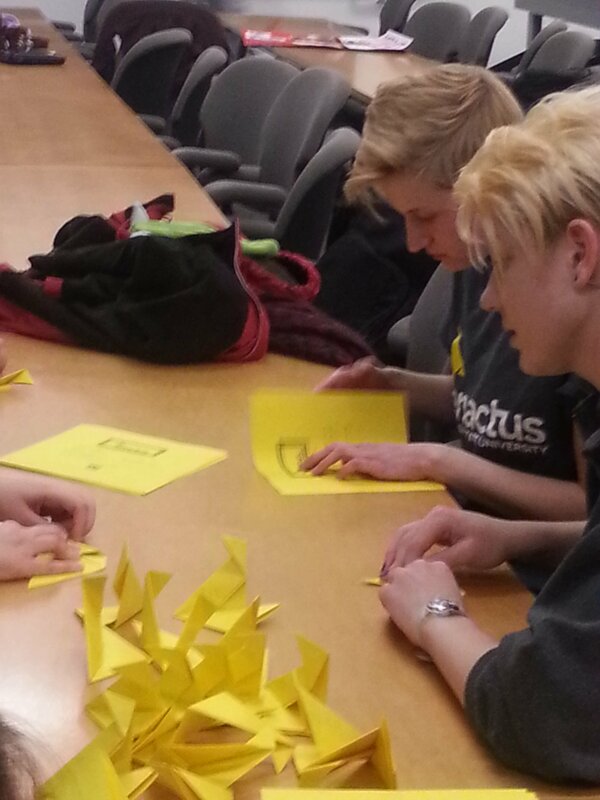 Please visit the site here, our facebook, or our twitter, for updates and info on TSU Enactus. If you need even more information, please send an e-mail to our President, Ann Frydrych at amf1687@truman.edu. Posted on November 11, 2012 by Kevin D.
The TSU Enactus site is currently undergoing renovations, check back frequently to see the changes! Truman’s SIFE (Students in Free Enterprise) team was recently named the third place winner at the ConocoPhillips Ethics Case Competition in Manhattan, Kan., Feb. 2-4. 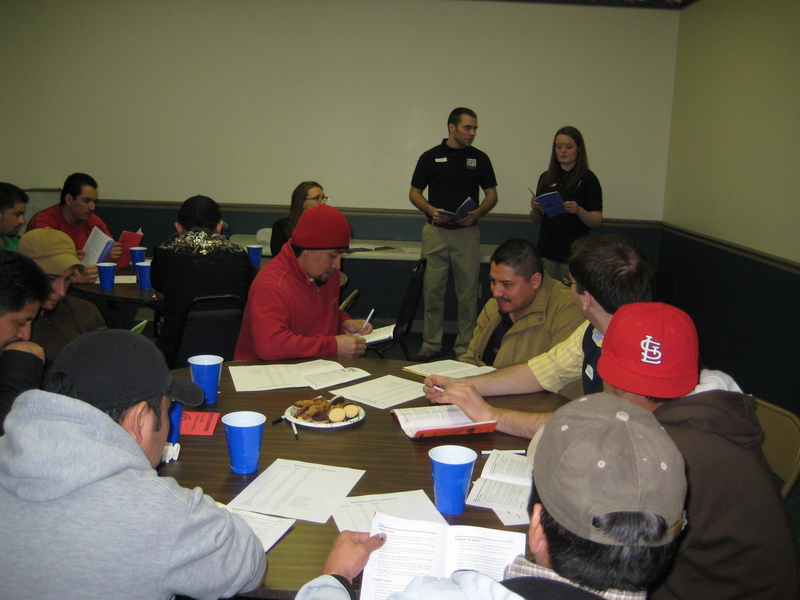 The event was developed and hosted by Kansas State University’s SIFE Team. 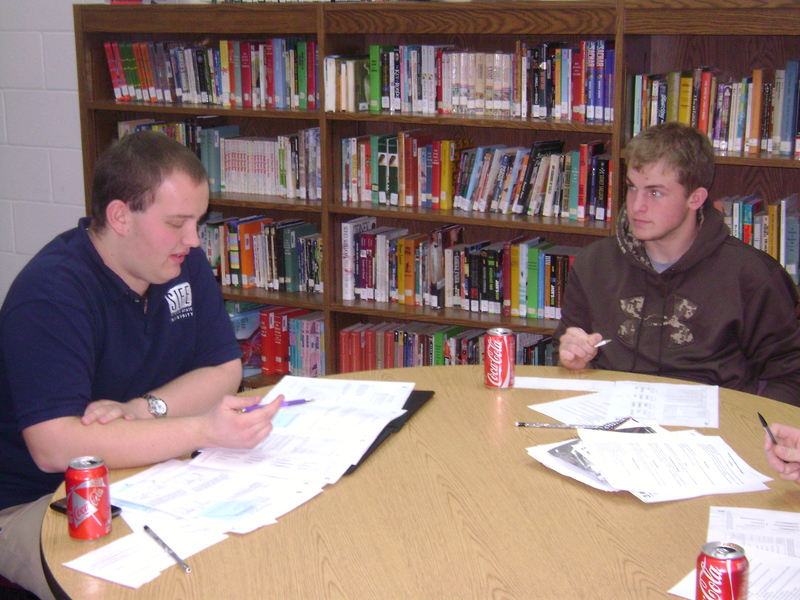 “The competition was an extremely rewarding experience. 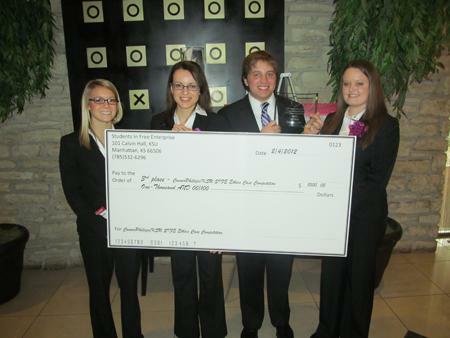 It allowed Truman State SIFE to compete against much larger, Division I schools and show just how successful we are. We are very proud to have placed third at this competition and cannot wait to return next year to improve upon this success,” Cody Hagan, Truman SIFE president, said. 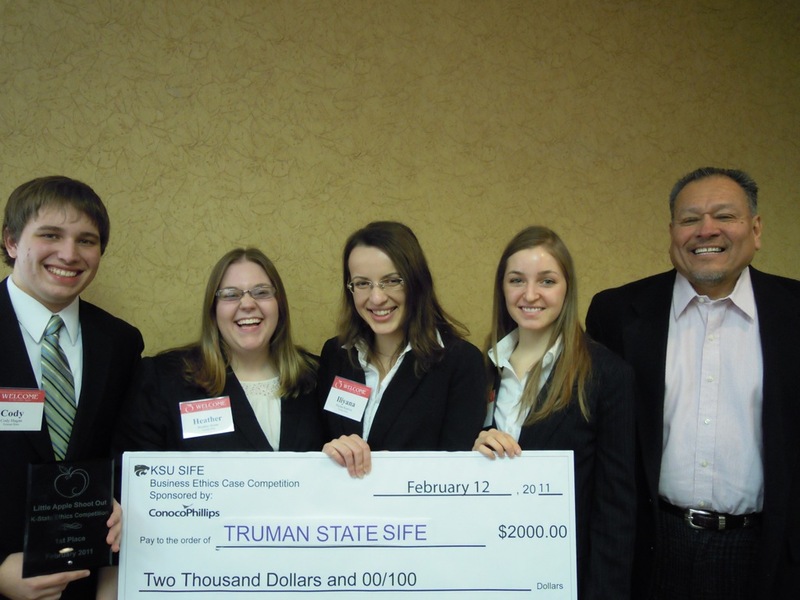 Truman’s SIFE team displays a $1,000 check and plaque after winning third place at the ConocoPhillips Ethics Case Competition at Kansas State University Feb. 2-4. 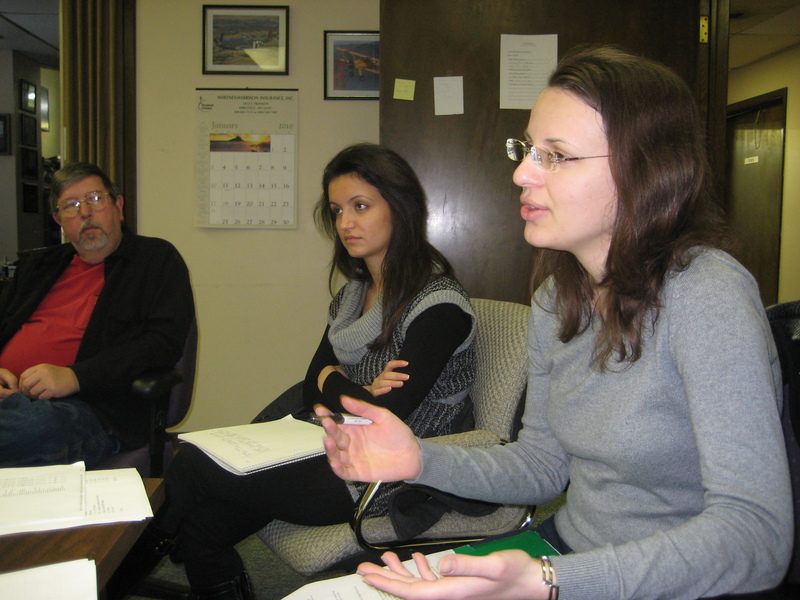 Pictured, left to right: Shannon Colligan, Iliyana Kuneva, Cody Hagan and Jessie Eubank. Along with a third place plaque, the team also received a check for $1,000. 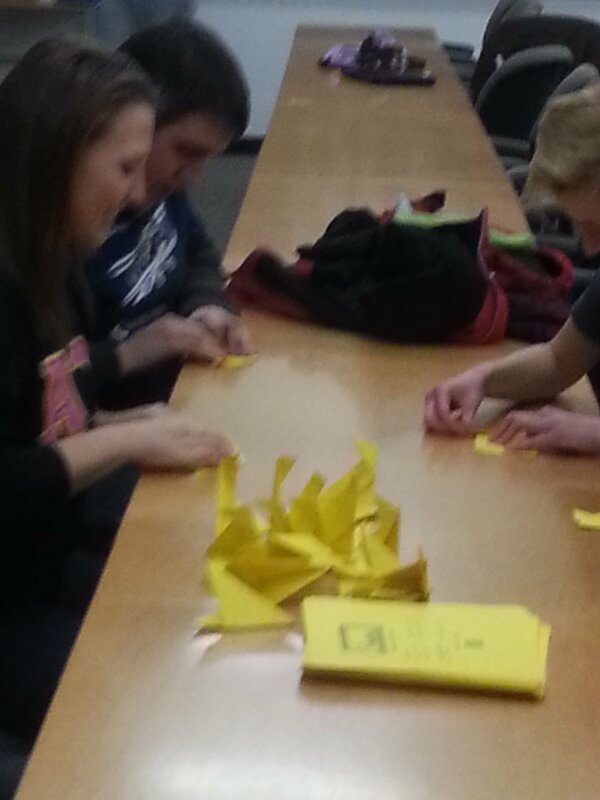 The Truman SIFE team plans to put this money right back into the projects that they are planning. Every year the team organizes and puts on numerous projects that benefit the University, local community and surrounding area. 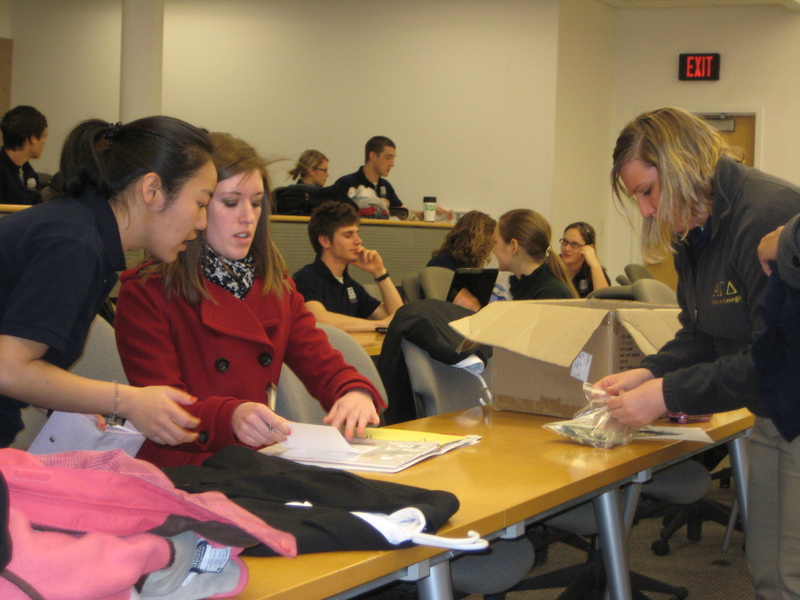 In this competition, participating students had 36 hours to utilize their business skills for analyzing, researching and developing a solution to a case about an ethical dilemma. After developing a solution, they created a professional presentation, which included a verbal script, visual slides and a written executive summary. Business leaders and university faculty served as judges for the event and evaluated the presentations. 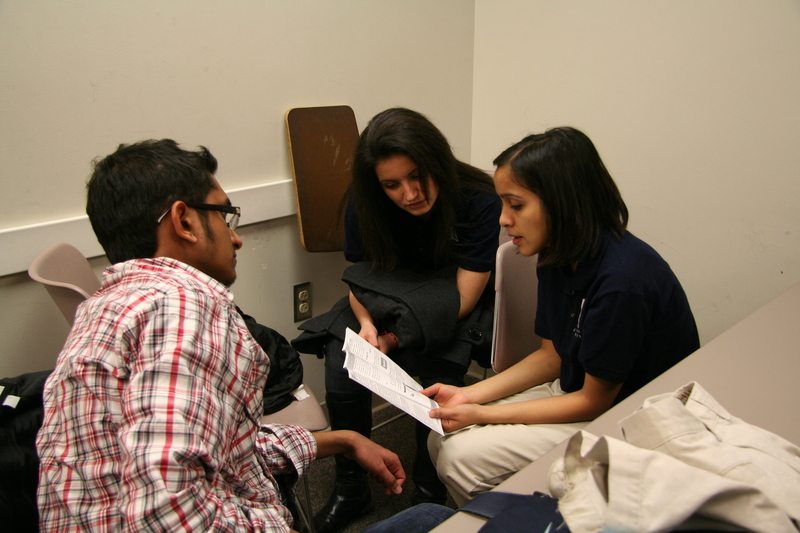 SIFE is beginning its Spring recruitment. Informational meetings will be held on January 25 and 26 at 7pm in VH1412. To learn more about membership requirements, visit this page. 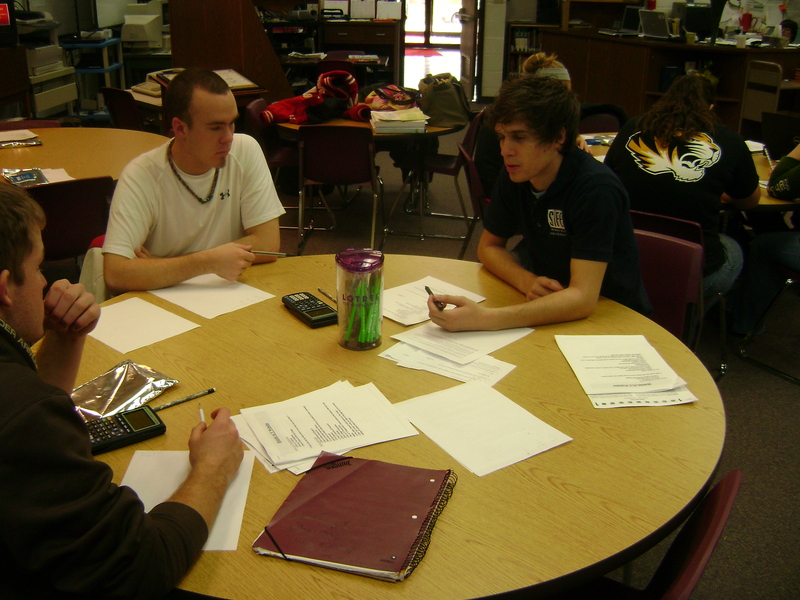 The 2011-2012 school year has gotten off to a great start for Truman SIFE! We continue to grow in strength and numbers as an organization, and our efforts in the community continue to expand to help those who need it most. Currently, we have 63 active members within the organization, all of whom are essential to our success. Additionally, we have already completed a handful of projects and have many more to come! As president of this great organization, I have been privileged to see everything this group is involved with. Especially rewarding has been witnessing the growth of several of our legacy projects and the creation of numerous new projects. Our members and project leaders have been excellent at putting together valuable, impactful projects that have greatly benefited many in our community. I firmly believe that our projects are making a substantial, lasting impression on many lives. With the start of the spring semester, competition appears to be right around the corner. This year Truman SIFE is once again attending the regional competition in Chicago. One of my favorite parts of the year is competition time. For one, it gives me an opportunity to better meet additional people on the team. Additionally, I think it is extremely rewarding to see the culmination of our great work in a competition presentation. It is great to look back and reflect on the work we were able to do through our team’s efforts. I am very excited to present these efforts at competition, making Truman proud! 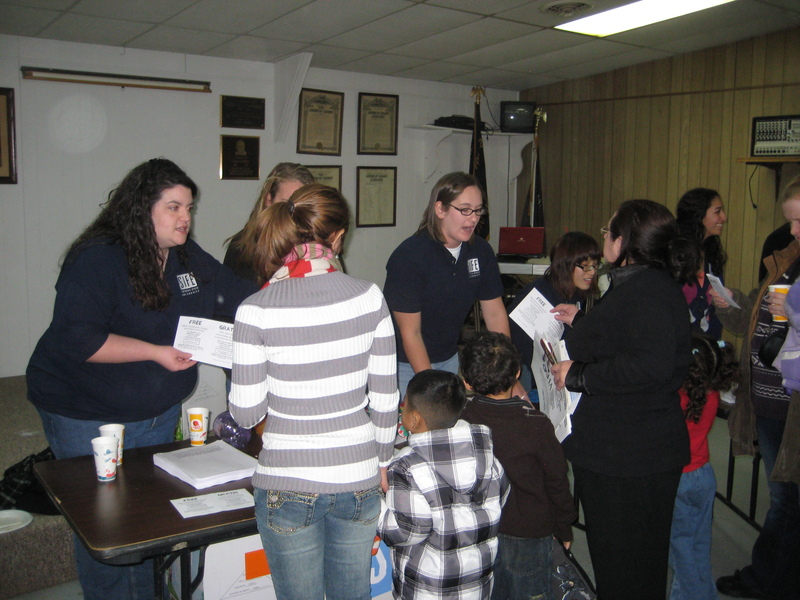 Check out our Fall 2011 Newsletter to see what we’ve been up to!